A 14-year-old schoolboy who had his trendy hair forcibly cut off by his headmaster and maths teacher has been awarded damages by a court in Russia. The School and education authorities of Cheboksary in the European part of Russia have been ordered to pay 2,000 roubles in damages to the family of the boy abused at school. It all started when the teenager came to school looking like the Eurovision song contest winner Dima Bilan. The teachers didn’t approve of the hairstyle and decided to do something about it. On May 20 this year the seventh grader Ilya Yurinov was ordered to the headmaster’s office by his math teacher. As soon as he entered, both the teacher and the principal held him by force and shore off the long hair at the back of his head. It was the mother of the boy who filed the case with local court. “The school will be charged 1,500 roubles, and the education management responsible for the actions of the headmaster will pay 500 roubles”, Judge Svetlana Fedyarova told journalists. Teachers said they decided to cut off the hair to comply with standard requirements of sanitary and hygienic norms. The boy’s mother had demanded that the school pay 48,500 roubles to compensate the boy for his ill treatment. The Public Prosecutor’s Office said the child’s rights had been infringed by the headmaster and the teacher. The mathematician has been fired while the headmaster was given a warning. The compensation, however, was reduced to 2,000 roubles. 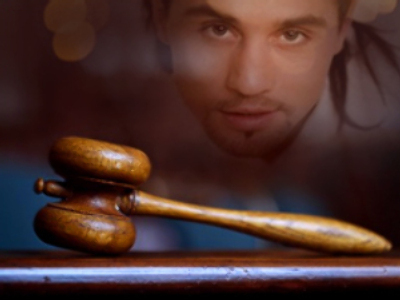 Dima Bilan has reacted to the story, describing the teachers’ behaviour as “savage”. “Such people cannot be allowed to educate out children. What if someone dislikes somebody’s nose or ears? Should they also be cut off? Such teachers should stay far away from children”, Dima Bilan said.